With only 20€ per month YOU can become a sponsor. As European Sponsor, YOU support the orphans in the nursery school, YOU ensure they are taken care of by our teacher and fed 2 meals per day. In addition, each of the children has a Kenyan runner as co-sponsor, who supports the child locally, visits them and does activities together. 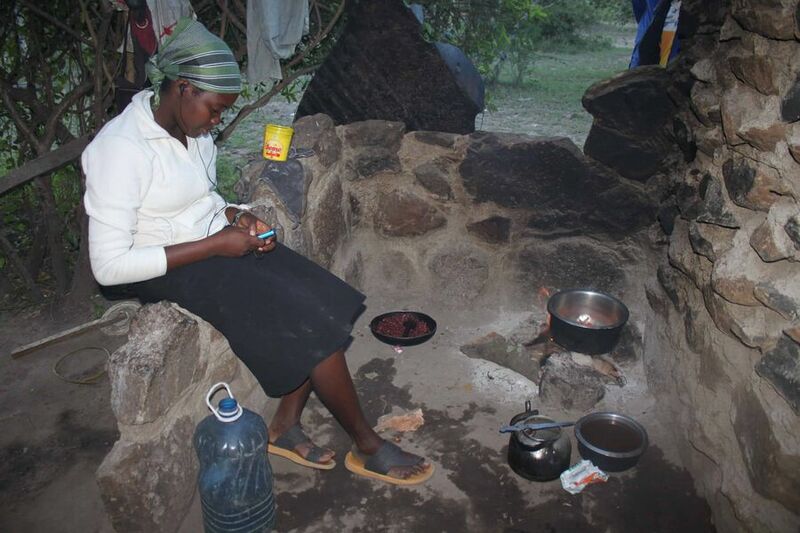 The Kenyan co-sponsor also keeps in touch with YOU, the European sponsor and lets you know about the child’s life. If you wish to have a specific co-sponsor, we will try to take your wish under consideration. At the beginning of your sponsorship you transfer 20€ per month onto our Primary School account. Run2geter guarantees that the whole 100% of the 20€ solely benefits the orphan. It would be ideal if you gave a one time donation of 50€ at the beginning of your sponsorship as to ensure clothing for the child. The co-sponsor will regularly inform you about your sponsored child, either via e-mail or facebook. Here you can see a list of all active run2gether sponsorships so far. These include sponsored children of our Nursery School, pupils of our Primary School and other children in need. 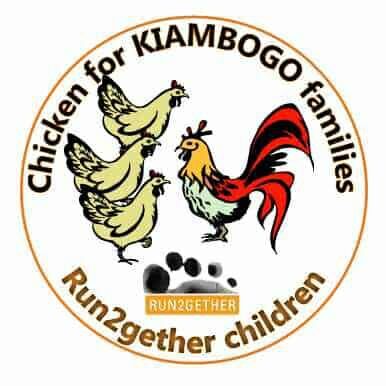 As we’ve done in previous years, we’ve also started a Run2gether campaign for 2016 for our sponsored children and their families in Kiambogo. The goal is to help make their hard work in the fields and at home just a little bit easier. This year, instead of giving individual birthday or Christmas gifts to the children, we’d like to present their families with farming tools and kitchen utensils. 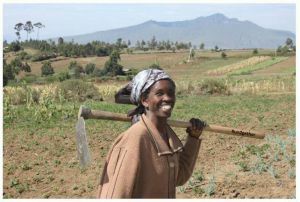 Since most farming in Kenya continues to be done by hand, the farming tools will help people with their daily work in the fields. Likewise, the pots and pans should help the mothers with the additional work they have in the kitchen every day of feeding their large families with often more than five children. We’d be delighted if you’d like to participate in the project! One set of tools (consisting of 1 farming tool and one pot/pan) costs €12. We are happy to announce that with the help of many sponsors and Run2gether friends we were able to carry out our project “Blankets for Kiambogo families” for our Run2gether children and their families. In February 2015, a total of 590 wool blankets, embroidered with the Run2gether logo, were distributed to all of our sponsored children (80 at the time), their 400 brothers and sisters, and to 25 other local families. For the first time in their lives, 590 children in Kiambogo could sleep under their own warm blanket! To all who donated, we’d like to say “Asante sana!” – thank you very much! 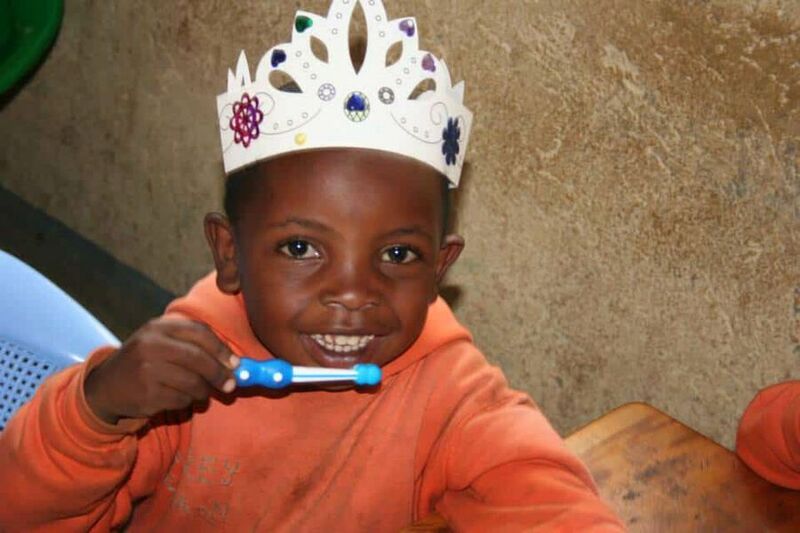 Toothbrushes: not as common in Kenya as they could be….. Which is precisely why Lilian, our Run2gether Nursery School teacher, and the principal of the Kiambogo Primary School were so delighted when Sabrina Bellido Gonzalez, herself a Run2gether sponsor, visited them in Kiambogo in the summer of 2014. Because Sabrina brought along toothbrushes and toothpaste for all 500 primary school students and the 30 Run2gether Nursery School children! The dental supplies were made possible through the donations of Dr. Hans-Peter Bantleon and Dr. Bernhard Gottlieb from the University Clinic of Dentistry Vienna (www.unizahnklinik-wien.at), together with Mr. Peter Röhrig from the baby products company MAM (www.mambaby.com), and Mr. Michael Kainzner from GlaxoSmithKline (www.sensodyne.at). We at Run2gether would like to thank them once again for their generous support of our initiative Happy Teeth! Sabrina was able to hand out the toothbrushes in person to the children in our nursery school and to show them how to use them. It was a new experience for all of the children – and they clearly had a ball testing it out for the first time…! The second part of our shipment arrived at the beginning of October after finally making its way to Kiambogo from Vienna – which for logistic and financial reasons is often easier said than done. But as soon as the supplies arrived, our Run2gether athletes under the direction of PETER CHEGE handed out the toothbrushes and toothpaste in the primary School. Over 230 chickens were distributed to the families of our Run2gether children in Kiambogo! Well now, it all started when Thomas KRATKY, coordinator of the Run2gether child sponsorship program, kept getting asked by sponsors how they could send birthday or Christmas presents to the children they sponsored in Kiambogo. And Thomas kept responding that they didn’t have to send extra presents since, through their generous sponsorship, they were already supporting the program financially. But the sponsors wouldn’t give up. But he didn’t come up with the idea for a full-fledged chicken campaign until Ingrid Brandstätter, a sponsor in the Run2gether program, told him that when she went to visit the family she sponsors in Kiambogo, she brought them chickens. Immediately, he began asking all the Run2gether sponsors and many of his friends, colleagues, and family members to take part in the initiative. For only 8 euros they, too, could be the proud donor of a chicken! And in just one month, funds for an entire “coop” of 230 chickens were collected! One of our runners, Nahashon Gitonga KARURI, whom many of our summer guests at the Run2gether running camps will fondly remember, took care of organizing everything in and around Kiambogo. After numerous treks from one farmer to the next, he was actually able to round up all of chickens. The grand chicken give-away took place in March 2014. 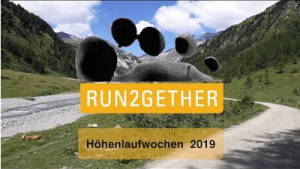 Right in front of the Run2gether nursery school, Thomas Kratky and fellow Run2gether member Johann HEINZLpersonally handed out 3-5 chickens to each family of our Run2gether children. The event quickly turned into a village fest. Then, on the following day, the families of the primary school students undertook a 17-kilometer walk to visit Thomas and Johann where they were staying. Our athletes were excited to participate, demonstrating once more that they are interested in being a part of town life in Kiambogo. Through this initiative, we were able to help needy families in Kiambogo in a very striking way. And since all the donors were pleased with the outcome, we’ve decided to plan a similar event next year.